Affiliated with influential crews such as Commercial Suicide, Formation, Compression and Stamina Sundays, JAMAL is a name that is synonymous with Drum & Bass. 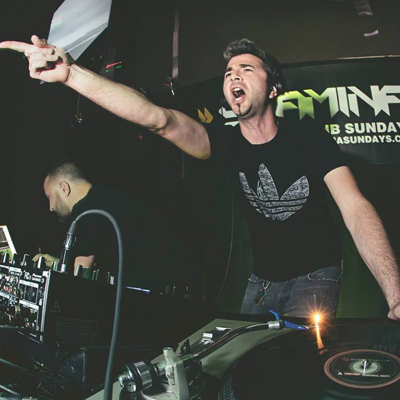 With close to 15 years experience in the scene, he’s had a hand in establishing the now infamous Compression party and the current event, Stamina Sundays, both geared towards showcasing the biggest sounds in Drum & Bass. This veteran DJ brings an undeniable and infectious energy to every set and is known for his bass-laden, drum heavy, grimey beats. Bursting onto the scene in the late 90’s, JAMAL quickly honed his skills and by the mid-2000’s, he was as embraced as the future of the San Francisco scene. Holding residencies with Juju’s label night, Phuturo, as well as the world renowned massive Compression parties, exposed JAMAL to the most current and most influential tunes which were the foundation of his career. Surrounded by talented innovators and performing with Drum & Bass top acts such as Roni Size, Goldie, Shy Fx, DJ SS, S.P.Y., Bryan Gee, DJ Marky, LTJ Bukem, Friction, Dillinja, Loxy, Optiv, Gridlok, Prolix, Sub Zero, Dara, D Bridge, Crissy Criss; Jamal has always had his finger on the pulse of Drum & Bass music. Pouring his heart and soul into the craft of studio production for over a decade, JAMAL has released tracks on a diverse selection of labels over the years. His 2012 collaboration with drum and bass legend Gridlok, ‘Tuscan Raider,’ released on Commercial Suicide to critical acclaim. With loads of new productions and collaborations in the works, JAMAL is on the rise.